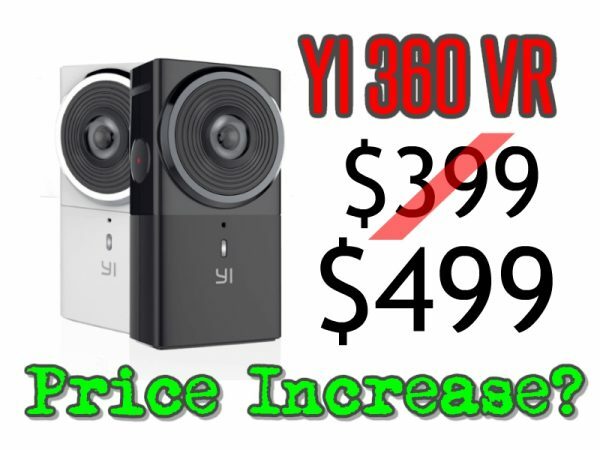 A Yi Technology representative informed me that the Yi 360 VR price will be $499, not $399 as previously announced. My contact at Yi confirmed that the $499 price is probably correct. I inquired about whether the price increase was attributable to significant hardware changes and my contact said no. Meanwhile, the Yi 360 VR is still available for preorder at $399 here. Given the likely price increase, and given that the Yi 360 VR video quality is excellent, I think it would be better to preorder now to at least get a possibility of a huge discount. But use a credit card and not Paypal so you can cancel if necessary. Meanwhile, the post by Yi Technology also hinted that the release date would be “within a few weeks,” which is consistent with what my contact has told me previously (i.e., the release would be by the end of October). Yi Technology also said that you can like their Facebook page to find out when it will launch. Ordered. I hope that works out. Thanks. Congratulations Bill! 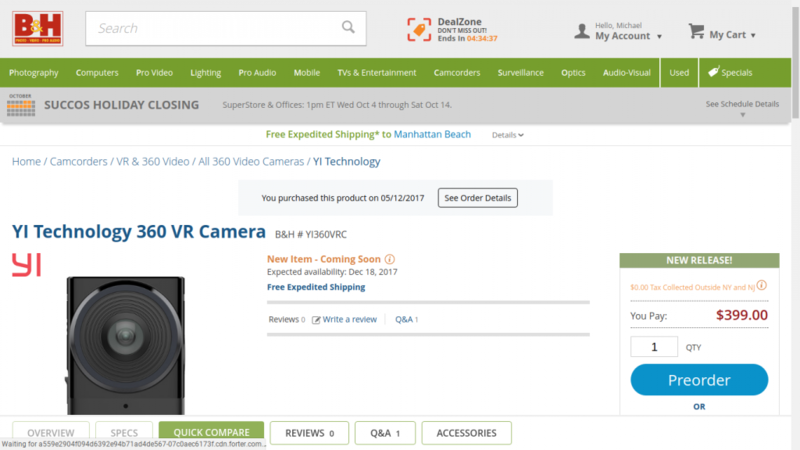 FWIW, my Yi contact said retailers would have the freedom to specify the actual price, and in the past, B&H Photo has honored its prices for preorders. So let’s cross our fingers. So there’s a $100 price increase but still no in-camera stabilization?